Being a fairly new South Side resident ( actually it has almost been a year- CRAZY!) there is still a list of eateries on my must visit list and up until last month the Black Dove was at the top of that list thanks to its outstanding reputation. 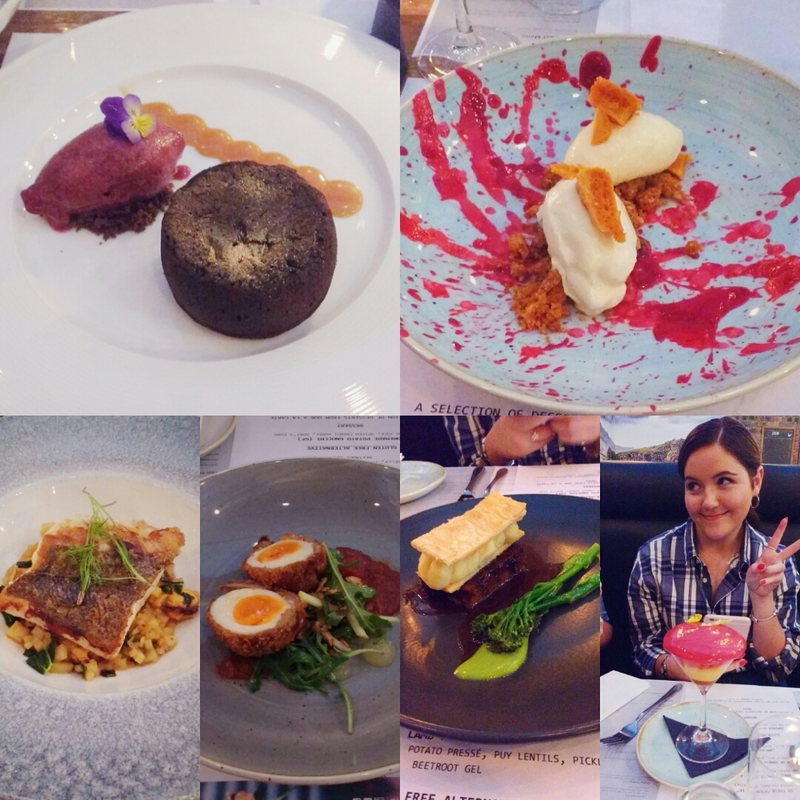 I have been eyeing up countless Instagram snaps of their gorgeous looking dishes for long enough when an offer of coming along to try out a few dishes on the tasting menu came up and I could not say no. 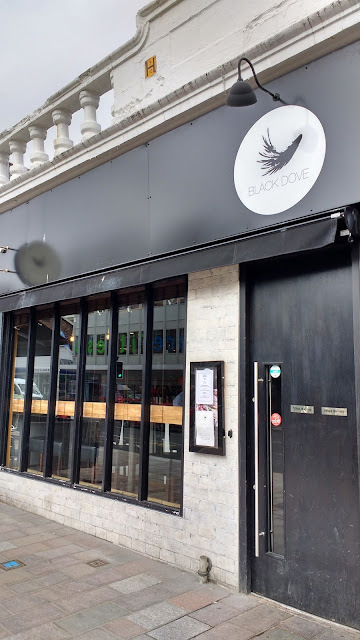 Alongside some lovely local bloggers we were absolutely treated by the staff at the Black Dove who are really passionate about the food on the latest menu as well as the fantastic cocktails to compliment it. Based on the Kilmarnock Road, this is a hotspot not to be missed. Focusing on well made and thought out small plate dishes that you can order a few of and enjoy a variety of styles. 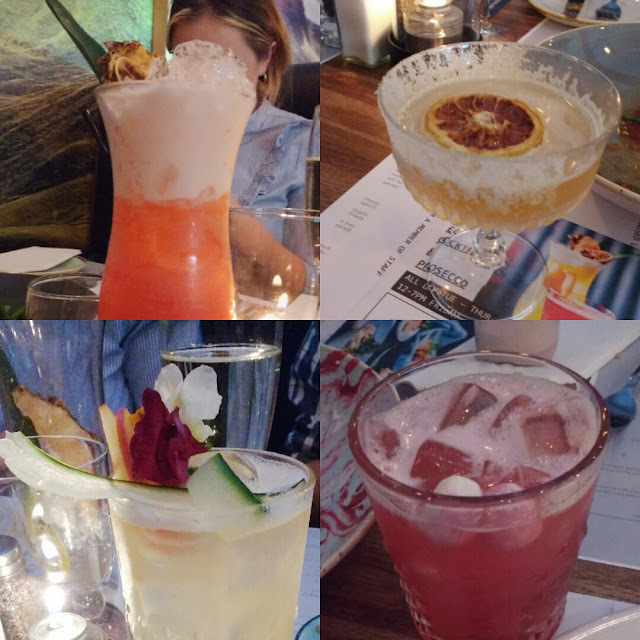 I love tapas dining as I am always so undecided on exactly what I want so I love the option to try a bit of as many as I fancy. Each plate is cooked to order and they have included gluten and dairy free options to suit as many as possible which is ideal. Over the course of the night my favourite picks from the line up had to be the Pork Belly Scotch egg thanks to its beautifully cooked yolk, apple salad and the most incredible chorizo jam that I could hear being discussed up and down the table. A wonderfully refined Ox Cheek ‘steak pie’ that was a really tender delight that was so well presented and possibly my favourite of them all the braised Lamb belly with puy lentils and beetroot gel. I am not usually a lamb person but boy was this delicious. On the sweet side, Black Dove Dining did not disappoint.I am such a pudding person ( in both tastes and shape!) so there was zero issue after tasting the mains that there wouldn’t be room for the desserts. Presented to oooh and ahhs across the room was a honey and morello cheesecake with home made honeycomb and cherry coulis that was possibly the dish of the night for me ( complete with mini milkshake to enjoy), a stunning warm chocolate pudding with salted caramel and a vibrant blueberry and lavender sorbet and the impressive French martini. No not another cocktail after an evening full of them but a dessert in a glass combining pineapple compote, pineapple custard, coral sponge and raspberry foam- it tasted just as good as it looked!! 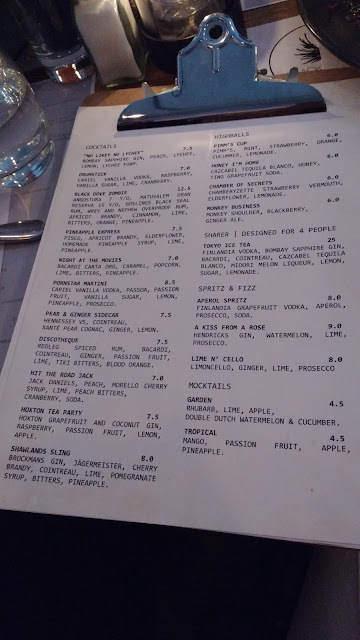 I love that they are stocked up with such an extensive cocktail list, a heap of craft beers and run good special offers too with £4 cocktails and prosecco all day Tuesday to thursday and kids eating free over the summmer- it really is the place to be. Never mind I HAVE to get back and try out the waffles with duck that I spied on the menu!